Hotel Verde case study – a retrospective. When Africa’s greenest hotel opened in 2013, it set a new benchmark for green building in the hotel space, not only locally but also scooping global awards internationally. Hotel Verde Cape Town has since rigorously captured figures and data, and with a five-year information bank, the financial return is comparable. The key elements of a green hotel are not limited to whether the hotel is built sustainably, but more importantly on how environmentally friendly and carbon-neutrally the hotel operates. It has been well documented that Hotel Verde and green building per se come at a premium, but according to Mario Delicio, co-owner of the hotel and founder of the Verde Group, other factors should be considered when calculating return on investment (ROI). 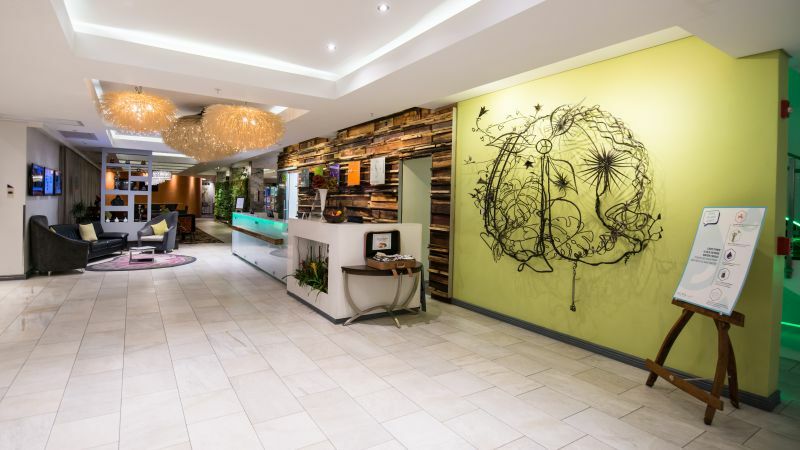 Thanks to out-of-the-box thinking, Hotel Verde Cape Town used the lowest number of resources and clever design as sustainable concepts were introduced to its build. The 10% green building cost premium allowed for the inclusion of solar panels, double glazing, a greywater system, and an al all-encompassing HVAC system that controls the heating and cooling of the hotel. The government has since also included sustainable elements as compulsory in the building industry. Many environmentally-conscious products have now become standard and, by manner of course, cheaper. Although building green still carries a financial premium, Delicio calculates that it should not be more than 4 to 5%. Operational savings include income through waste, income through water savings and income through energy-saving efforts. Hotel Verde projected a seven-year period before it began seeing ROI on the additional costs incurred by building green. Ironically, Delicio says that the electricity crisis in 2014 and the resulting load shedding, along with the Cape Town drought and water crisis, have brought Hotel Verde’s break-even early to a five-year period. In fact, the additional cost of power through generators, increased cost of electricity, along with the increase in cost of water through the water crisis, have resulted in financial savings for the hotel while other Cape Town hotels were bleeding. Waste management is a top priority and the hotel has recently achieved its target of 98% saving on waste-to-landfill. Procurement is another big aspect of responsible operations and Hotel Verde goes to great lengths to source locally and even produce their own vegetables, herbs, honey and bottle their own water. 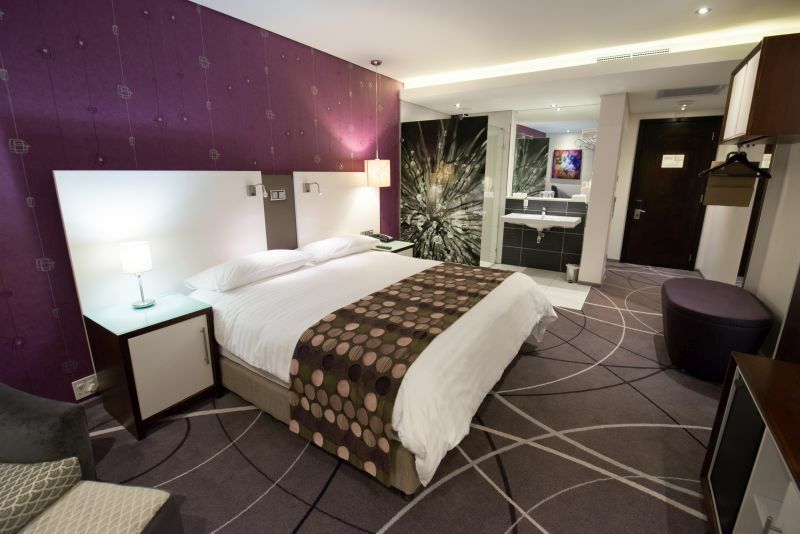 Waste management is a top priority and the hotel has recently achieved its target of 98% saving on waste-to-landfill, an impressive achievement for a notoriously high waste-generating operation. Employees are the biggest ambassadors of the hotel and therefore looked after. “When operating a green icon such as Hotel Verde, it is your responsibility to make sure that your employees are educated and enlightened to be environmentally conscious representatives,” Delicio says. The staff turn-around is low at Hotel Verde and the high retention rate is a reflection of staff welfare and happiness. 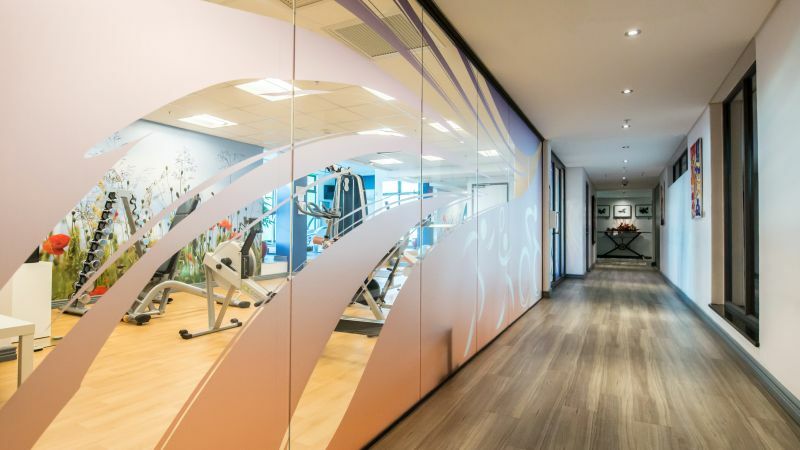 Hotel Verde Cape Town has an outdoor gym and running track. According to Calvin Boia, marketing executive at Verde Hotels, in comparing guest return for an airport hotel, Hotel Verde fares well with an up to 35% return guest rate. Reviews from guests frequently remark on the take-home value of what they have learned through staying at Hotel Verde. Perhaps even more important is the educational value of staying at a green hotel, especially one that aims to educate the guests. Reviews from guests frequently remark on the take-home value of what they have learned through staying at Hotel Verde. Going green should not even be a question for today’s hotel development investor. Including a few simple green aspects can benefit a developer’s ROI. According to Delicio, solar panels, especially in Africa, ought to be non-negotiable and greywater should be enforced by governments. Greywater recycling has the ability of providing a 35% saving on water costs. Making smart environmental decisions can not only prevent costs, but produces significant savings too. Full thanks and acknowledgement are given to Hotel Verde (www.hotelverde.com) for the information and images provided. 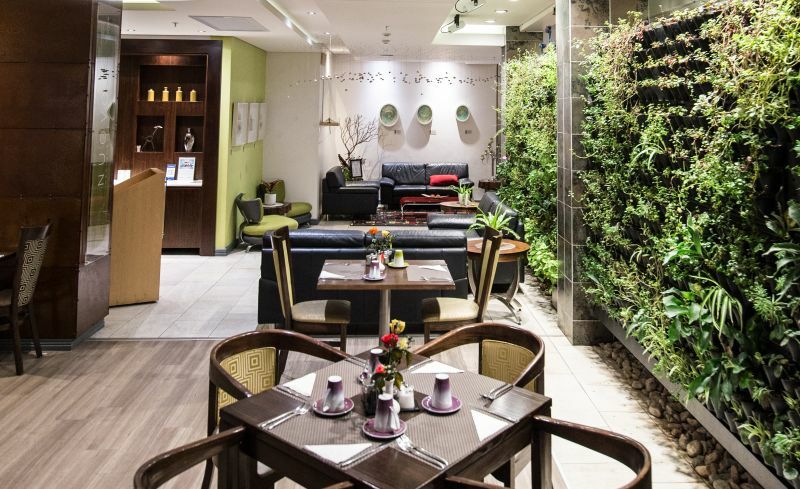 Main image: Hotel Verde Cape Town is Africa’s greenest hotel.